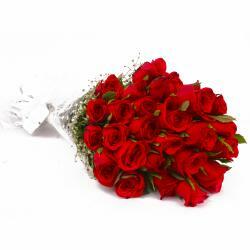 Product Consist : 50 Red Roses with green fillers in Cellophane Wrapping with Ribbon Bow on it. 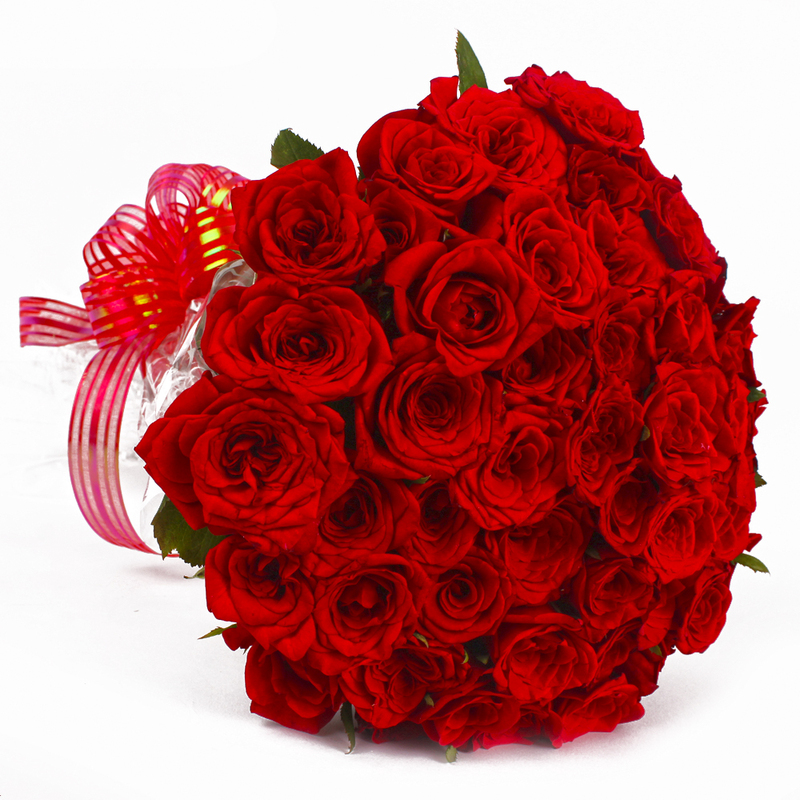 These amazing flowers bouquet will be hard to resist and contains a fifty red roses that will floor any loved one with aplomb. 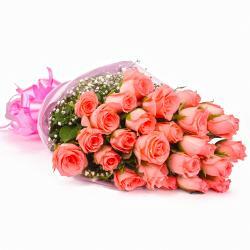 These roses have also been packed impeccably in sophisticated and cellophane paper for heightened quality. 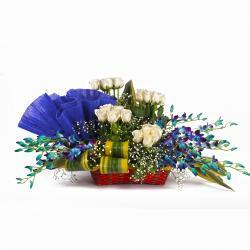 There is a cute and matching ribbon bow on top for company that increases the charm of this gift pack without a doubt. This gift hamper is perfect for Birthday, Anniversary, Valentines Day, Baisakhi, Dhanteras, Womens Day and occasions other too. 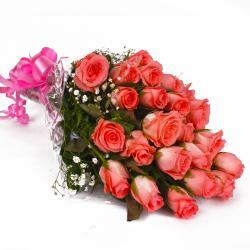 Product contains : 50 Red Roses with green fillers in Cellophane Wrapping with Ribbon Bow on it.